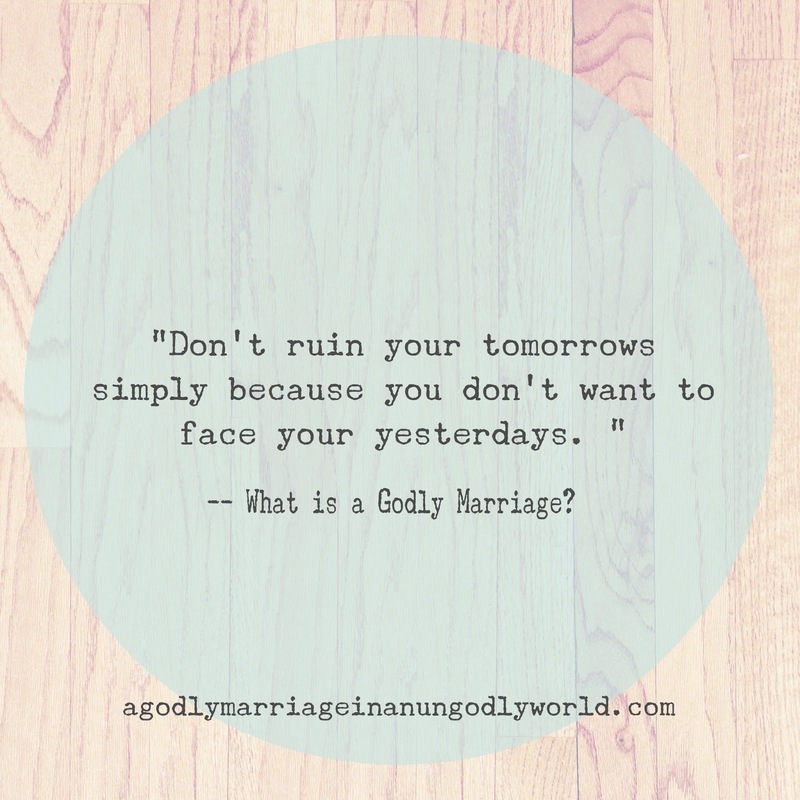 Communication, What is a Godly Marriage? I can still remember that morning; our caller ID hadn’t been working and there’s nothing worse than working from home and not knowing who may be calling you. I had already spoken with several clients that morning with a screaming toddler running around, but I knew that when the phone rang I had no other choice but to pull out my “pleasant” voice, just in case a client happened to be on the other end. The phone rang. I let out a large sigh and answered it in my ever so sweet “hello?” I wasn’t expecting to hear my husband on the other end, and he wasn’t expecting to hear a pleasant sweet angel on the my end either. “Wow,” he replied, “I wish you spoke that sweetly to me all of the time!” I replied rather sarcastically, “whatever, I’m always nice to you”. But the sad fact is that I was completely wrong. I never answer the phone in my pleasant “hello” whenever I know it’s him calling. Why is that? Why is it ok for us to give our best attitudes and pleasant toned words to other people, sometimes people we don’t even know, and yet not give them to our spouse? Let’s face it, in the daily hustle of life, communication is no longer our best forte as human beings. Unfortunately, social media has played a large role in our lack of communication skills. People will say and do things on social media websites and through email that they wouldn’t otherwise do in ‘real’ life. It has given us an unnecessary amount of boldness to speak to and about others. Social media has forced us to have a false image of others and can even cause strife between spouses. It’s easy to post a status or quote when you’re angry or upset, but taking your marital issues to the internet where everyone can see them is immature and can be damaging to your marriage. It’s also insulting and hurtful to your spouse, whether they show it or not. Quite honestly, it is not very Christ like at all. When it comes to communication, we should practice these few simple rules to help us effectively communicate with our spouse. Pray before confronting or conversing with your spouse about a difficult situation or decision. Do not respond to your spouse in a harsh tone or manner, even if they speak to you in that way. Do not automatically go on the defensive, and do not, at any time, make your spouse feel like you are personally attacking them. Do not fight, argue, or converse about difficult topics in front of your children. If the situation could get ‘heated’, then remember that it is a conversation that can happen after your children are in bed. Make it a priority to stay awake and talk through the issue before you go to bed. Consider your spouse’s time restraints and responsibilities before sitting down and communicating with them. If it isn’t a good time, make yourself aware of that, but also make it a priority to speak with them when they are available without time restraints. Don’t just ‘let it go’. If something is bothering you, talk about it that day; not the next day, not the next week, or even the next month. Allowing feelings to fester will only cause bitterness between both spouses. Many times your spouse may not even know that you are feeling the way that you feel. Think before you speak. Is it kind? Is it true? Is it necessary? Is it belittling? Is it accusatory? Wives, don’t expect your husbands to “know” what you’re thinking. They aren’t mind readers and they do not think the same way you do. Husbands, don’t expect your wives to always understand your decisions and actions. Wives are creatures of gentleness and love. If not responded to in that way, we can go on the defensive and become offended. We can feel unloved even by the tone that you use, whether you meant something by it or not. Men and women communicate quite differently from one another. Most men are more logical in thinking and decision making, while most women are emotional and more involved in decision making. God didn’t make a mistake when he made us with these communication differences. In fact, He knew exactly what He was doing. Since husband and wife are to become “one” when married, it would be quite unfortunate if each spouse had the same strengths and weaknesses. We would not have a need for one another. 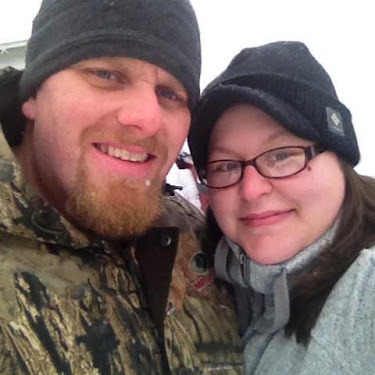 Spouses wouldn’t fit ‘together’ very well, now would they? For this very reason, God created men and women with different strengths, weaknesses and character traits so that we would complete one another versus being two separate complete halves. With that said, it can cause confusion and chaos when it comes to communicating with one another. This is where we go back to the roles of a Godly husband and wife in chapter 2. A husband is to love his wife unconditionally and as Christ loves His church. A wife is to have a gentle and quiet spirit in everything that she does. This means husbands aren’t to speak harshly to their wives (Colossians 3:19). Husbands are to communicate to their wives in a loving manner without dictating or name calling. Wives are not to be belittling or disrespectful to their husband in a conversation; they are to speak and respond gently at all times (1 Peter 3:1-4), keeping in mind that their husband is the leader of their household. If both spouses follow their biblical roles in a conversation, then the conversation should end in pleasant decision making as well as sincere apologies, if they are needed. Your role and character traits as a husband or wife will not come overnight. These are things that you must practice daily. It is also something that you will need to pray about every day in your personal time with the Lord. This is a heart and mind change. It’s not something you can read in a book and just “do”. You must recognize your biblical standard as a Godly spouse and never give up on perfecting your own role in your marriage. You must constantly inspect your spiritual fruit – are you exhibiting love, joy, peace, patience, kindness and goodness? One of my favorite verses to remember when thinking about communicating with my husband is a verse that an older Christian couple, one whom we both very much look up to, told us a few weeks before we got married. When we don’t speak with our spouse about things that are bothering us -- be it something they’ve done or something we are personally dealing with -- it can begin to fester. On the other hand, if we do not allow our spouse to feel comfortable with speaking to us, it only harbors anger and bitterness towards us. We should be our spouse’s safe harbor; a friend when they are in need. 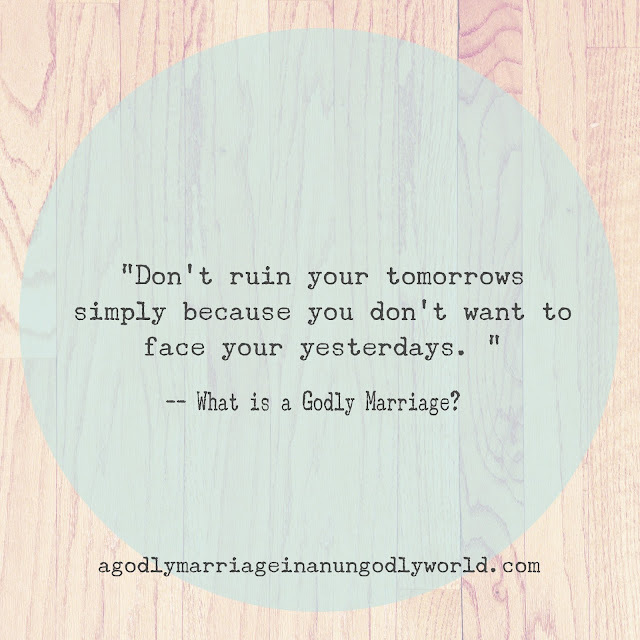 When we allow our spouse or ourselves to go to bed angry, we are ruining the following day with the past. Every single day is a new day and should be treated as so, otherwise, you are allowing the devil to have a foothold in your life and in your marriage based on the simple fact that you are not communicating with your spouse. These droughts of no communication can cause distrust, anger, bitterness, anxiety, hurt and despair. What may have started out as something hurting you in the beginning can turn into both spouses being hurt in the end. It you notice that something is bothering your spouse, ask them about it. If there is something bothering you about your day or about your spouse, talk to them about it. Don’t allow yourself to sin just by being angry or worried, and don’t ruin your tomorrows simply because you don’t want to face your yesterdays. You must learn to communicate with your spouse, however, you must also learn to forgive and show grace to your spouse. Only then can healing begin for both of you, even in little communication issues. It is better to communicate with your spouse than not to speak to your spouse at all. The more you practice communicating, the better you’ll become at it. In the big situations, push yourself to communicate, even when you don’t want anything to do with your spouse at that time and even if you think it won’t make a difference. Having your spouse clearly know what you’re feeling and thinking is better than them making something up in their head. In the little communication issue’s, make sure you remember that men and women communicate differently. Take your spouse’s emotions and character as a husband or wife into consideration before speaking to them. Many times, it will eliminate confusion and defensiveness on both parts. In all situations, remember that tone is a key player in communication. If you are not aware of the tone you speak in, then you may not be aware of the way you make your spouse feel. If you mess up, apologize immediately. There’s no reason to be ashamed of a sincere apology. If you are on the receiving end of the apology, accept it. Remind yourself that you and your spouse are one. You have taken vows as a covenant before God. It is your responsibility to make the proper biblical changes in your marriage in order to make your marriage work, even if your spouse chooses not to make those changes. Communication is so important in a Godly marriage. Lack of communication is one of the biggest entrapments that sin can have in a marriage. So many marriages could be saved if husband and wife would simply talk to each other without becoming offended or without attacking one another. Affairs would decline, bitterness would be non-existent and choosing to love wouldn’t be so hard for us. Check back often to this main post for links to the other posts in this series. This series will be updated weekly, if not twice a week. Thank You for your help. I said to the Lord, I can't hear You, God help me. I typed in Godly Marriage and your Blog came up. I like that you said each marriage is unique, and not like in the movies. Certainly after 36 yrs of marriage mine has not been so beautiful. I have struggled since the beginning, many times sought the Lord for divorce, but I have forgiven. It pained me to be going through intimate troubles again. I asked God, what am I doing wrong. I found peace and relief with your Blog. You did all the foot work of finding the scriptures I needed to hear from Holy Spirit. May your time with your spouse and raising your children be prosperous and blessed.